Not long after Gordon Murray revealed his new iStream Carbon chassis structure with Yamaha’s tasty concept car, TVR announced that the full carbon package will be a no cost option on its Launch Edition cars expected later this year. And there’s more. After I talked to Les Edgar at the last Festival of Speed at Goodwood, I stood up from the table having more questions than answers. What was certain about TVR’s upcoming model up until now is that it will use Gordon Murray’s composite chassis and a Ford 5.0-based Cosworth V8, one that could get supercharged in the future. We also have already known that not long after starting to take deposits, the 2017 production run sold out. If everything goes to the plan, 2018 will be your earliest shot at getting yourself one of the first Edgar-era TVRs. 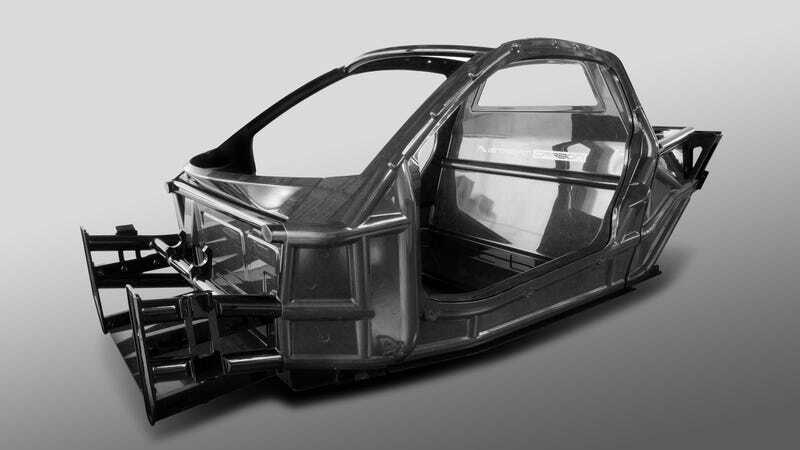 To keep the prices where they should be, TVR says they’ll use glass fiber composites as standard, but since Gordon Murray came up with cheap carbon fiber construction, they’ll offer an upgrade for a full carbon tub as well. This high-end material would come free with the early bird Launch Edition cars. While we still don’t know anything about the final design, TVR says since the body is essentially non-structural, they have time to get every single detail right while the mules are already out there, eating mile after mile in an effort to make this the most reliable British sports car in history. Being a Sagaris owner himself, he also claims the last TVR wouldn’t even see which way (the new one) went.